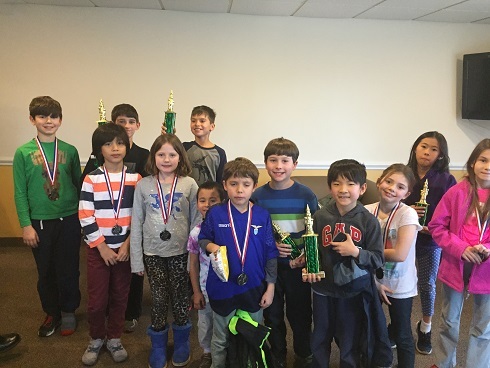 As always, this month's K-8 Scholastic Championships was divided into 3 sections. 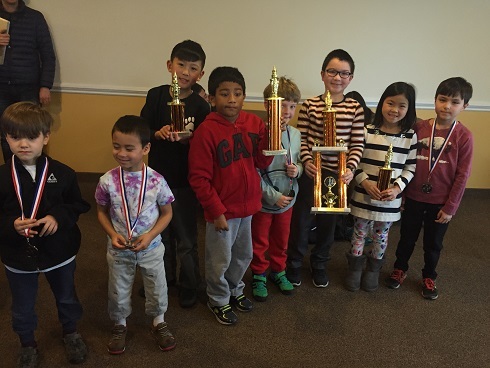 In the first section with players in grades K-2, we had a Xiao Xiao Heelan win with a perfect score of 4 points! He was closely followed by Vikram Sarkar, Jenna Ho, and Justin Guo with 3 points each! In the 3-5 section, Jared Schwartz took home first place with 4 points! A perfect score! Tying for a close second were Nicholas Kurbanov, Eddie Li, and Louis Savarese with 3 points each! 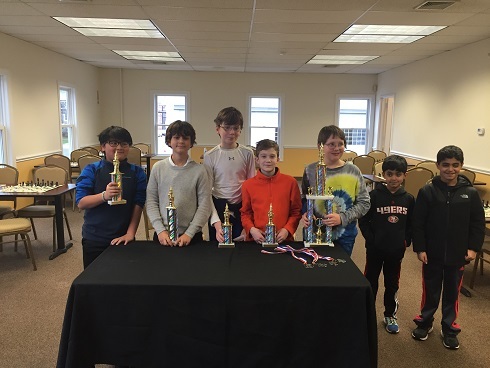 In the final section, grades 6-8, Aurelius Mlynar took first place with a perfect score! Anibal Loureda followed him, landing in second place with 3 points! Congratulations to all the winners and participants! We hope to see you soon!